Home > English > Afghanistan News > What else does the ISI have in the roster for Hazaras of Quetta? What else does the ISI have in the roster for Hazaras of Quetta? 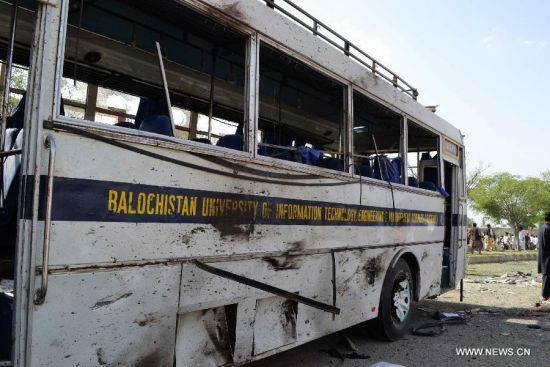 The perpetual attacks against Shia Muslims of Balochistan are particularly hurting Quetta’s Hazara community because it is relatively easy to identify and attack Hazaras due to their particular physical features. The Hazara community has been living in Quetta for centuries with exemplary peace and fraternity. The hate and conspiracy-mongers, for the last thirteen years’ one sided brutal killing of Shia Muslims in particular, Hazara Shias in particular, tried hard enough to name it sectarian or ethnic violence in a bid to pit communities against one another (Shia against Sunni, Hazara against Baloch or Pashtun etc) in the small valley but the victims have borne the brunt with utmost tolerance and humbleness. Every tactic has been applied to provoke people of picking arms and revolting against others but, so far, the conspirators, the perpetrators, the financiers and the masterminds have miserably failed to achieve their targets. Recent cowardly attack on I.T. university students, which killed 5 bright students and injured 69 others including children and female students, exhibits the weaknesses of its executors who have resorted to adopt this method of murder. The elaboration of the word, “Weaknesses” of the enemy refers to their demoralized attitude, curtailing their manly strength of confronting their rivals instead of targeting innocent people. No one had claimed responsibility of the attack till writing these lines, however, the government, the law enforcement and intelligence agencies will have to make an obnoxious call to relate the whole episode to unknown underground organisation. Recent off-air video clips, disseminated to social networking websites have also proved that the event-ridden Pakistani media in the pocket of the military establishment and its Jihadi-sectarian mercenaries. As a result, one cannot expect the just and fair coverage of these incidents in Pakistan’s mainstream media. I have particularly noticed that the people, especially the youths are chagrined about the prospects of bright future of Pakistan. Too many cooks have culminated in spoiling the broth as all factions endeavour to portray the Founder and his companions according to their will. The religious hardliners chant the loudest to declare Pakistan as a model Islamic state who are backed and financed by the military establishment and the Saudi sheikhs. The dissidents, on the other hand, echo comparably mild voice to assure their supporters of moderate Islamic country where minorities are equally treated and cared for. The ultra-liberal stratum interprets the sayings of the Founder of Pakistan differently to showcase another notion of the Pakistani society. In contrast, the youths who count for an overwhelmingly large proportion of the Pakistani society remain uncertain as to who to follow. They are so confused to step forward and take the reign in their hands, hence, exacerbating the situation to the extent which indulges them into despondency. Due to vested interests of contractors of Islam, their financiers and touts, Quetta’s eternal peace and harmony has been converted into appallingly dangerous situation where laymen feel trapped among monsters and cannibals. The entire city, which is otherwise very small as compared to other metropolitan cities of Pakistan, has been handed over to trained assassins who can kill people with impunity. The Hazaras, in particular, have been the prime target of these attacks whilst the perpetrators’ remain free to carry one with the murders. The involuntary disappearance of Baloch nationalists, the kill and dump policy as well as the wish of pitting Shias against Sunnis, Hazaras against Balochs/Pashtuns, have not worked so far. I wonder what else the military establishment and ISI apparatus have in the roster to apply to achieve their ulterior motives.